Zimbabwe’s opposition parties are demanding United Nations involvement in next year’s presidential election after a preparatory meeting fell apart amid an argument with election officials. Zimbabwe Elections Commission chairperson Rita Makarau walked out Tuesday after accusing the opposition of unfairly targeting her. The opposition parties have demanded her resignation, saying she is trying to help 93-year-old President Robert Mugabe win another five-year term. They say the UN should handle the 2018 vote. A coalition of 13 opposition parties is planning a protest rally in the capital, Harare, on Wednesday over what it considers actions aimed at rigging next year’s vote. Mugabe has been in power since 1980. 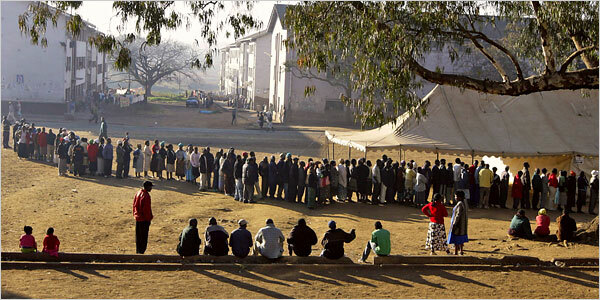 The UN has not involved itself in previous Zimbabwe presidential elections.